“We are happy to report that despite a direct hit by Hurricane Gonzalo, in the initial surveys it does not appear that Nonsuch Island suffered any major damage to it’s Infrastructure or Geology,” the latest update on the Nonsuch website said. They said that the beach and coastal areas suffered far less than during hurricanes Fabian and Igor, and the Ascendant supplied solar power system withstood Gonzalo, and there is still power on the island. The website added, “It has however suffered substantial damage to the vegetation with some of the larger cedars and bay-grapes being uprooted or broken. The Bermuda Palmettos and Olive Woods however appear to have little or no damage. “This week the priority will be to get the Cahow nesting sites and manmade burrows ready, including diving up the concrete lids that will have been blown overboard on the outer islands, as the Cahows should be returning this week for their mating rituals. 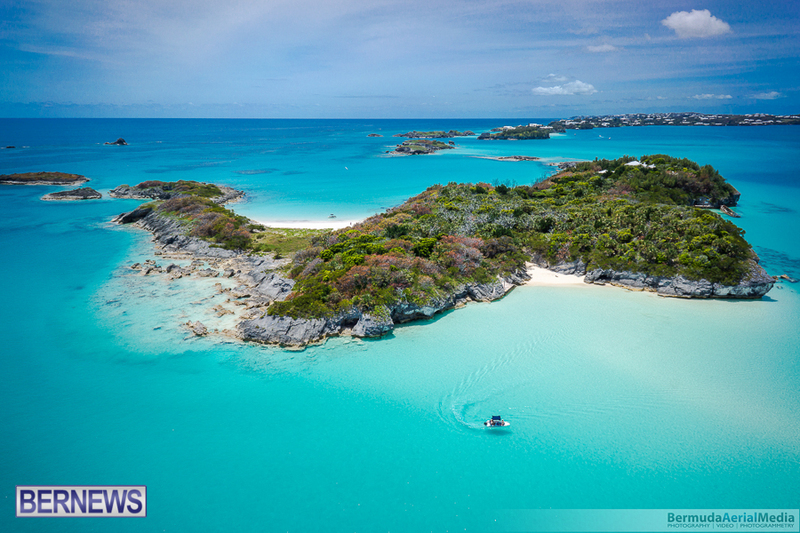 According to the Department of Conservation [PDF], Nonsuch Island is one of Bermuda’s most isolated offshore islands, and is part of the Castle Harbour Islands Nature Reserve. The 16.5 acre island plays host to over 10,000 native and endemic plants have been planted over the island to create a number of vegetative communities and habitats. The Department of Conservation said, “One of the primary habitats,covering much of the interior of the island, is endemic upland forest consisting of species such as Bermuda Cedar, Olivewood Bark and Bermuda Palmetto. “Today, Nonsuch Island hosts many native and endemic plants and animals, including over 160 pairs of nesting Whitectailed Tropicbirds or Longtails, The critically endangered Bermuda Skink, and the large intertidal West Indian Top Shell. For all our coverage of Hurricane Gonzalo click here, for our live blog on the aftermath of Hurricane Gonzalo click here, for our past coverage of Nonsuch Island click here, and you can also visit the Department of Conservation’s Nonsuch page and the Nonsuch Island website. Can You Help With History Of Nonsuch Island?